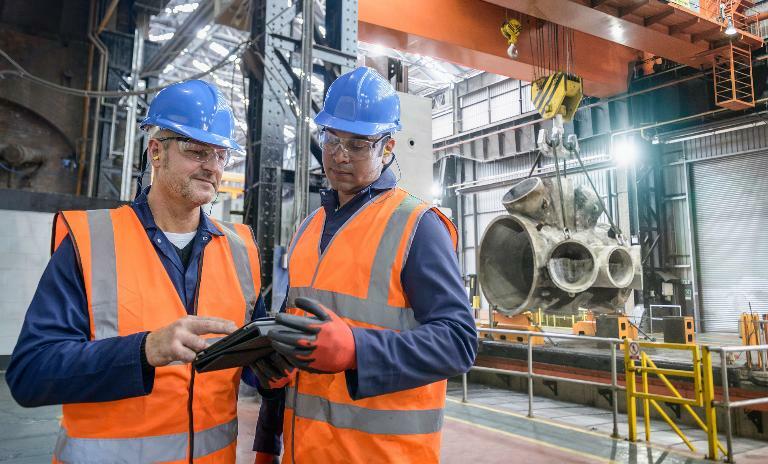 Roland Berger, in collaboration with the Bundesverband der Deutschen Industrie, produced the first extensive examination of digitization’s impact on the German industry. Here’s how the transformation will proceed. "If Europe aims to start the digital transformation of industry, it needs collaboration." How to develop an understanding of what digital transformation means. The digital transformation of industry will cause fundamental structural changes for whole industrial branches. This process will take place in waves, which will hit the different branches in various ways and intensities and may change them from the ground up. Following the first wave, the automotive and logistics industries are already in a far-reaching shifting process. The second, marginally weaker wave will trigger upheavals in the medical technology, electrical engineering, mechanical and plant engineering and energy systems industries. The third wave of digitization will hit the chemicals and aerospace industries, albeit more gently. European companies therefore have to act fast and develop a more profound understanding of what digital transformation means and come up with new and sustainable business models. In a positive scenario Europe has the potential to create an additional value of EUR 1.25 trillion until 2025. 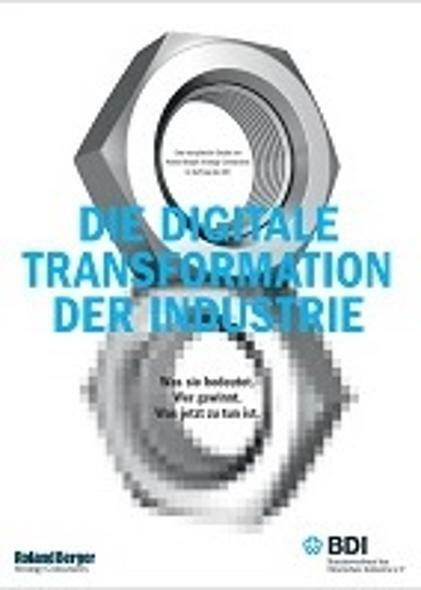 The study “The digital transformation of industry“, produced by Roland Berger in collaboration with the Bundesverband der Deutschen Industrie, examines the changes to value chains caused by new data, interconnectedness, automation and digital customer interfaces based on the example of German market leaders. The study represents the first extensive examination of the causes of digitization and quantifies its overall effect. Key findings of the study: Europe under pressure. Among the key findings, the study presents both positive and negative scenarios. In a positive scenario Europe has the potential to create an additional value of EUR 1.25 trillion until 2025. If digital transformation will not be turned to Europe’s advantage, the continent stands to lose as much as EUR 605 billion in the same period. The European Commission’s goals under the Europe 2020 strategy to raise the share of industry in Europe from 16% to 20% by 2020 would clearly not be achievable in the negative scenario. These radical changes open up new opportunities for the existing market players as well as for non-industry players such as those in the information technology sector. Established firms and industry leaders could quickly fall behind as a result. Market players from outside the industry who possess a high level of digitization expertise could come in and replace them in lucrative parts of the value chain. Recommendations for Europe’s future industry. Companies need a comprehensive understanding of the new value-added potential afforded by digitization and how it can be utilized. Not only efficiency and costs have to be improved; optimized new business models will also have to be created. Europe needs a counterweight to the industrial Internet Consortium dominated by the United States. Therefore businesses and European governments must commit themselves and define common standards that accommodate the strengths of the German and the European industries. The success of digital transformation depends on the installation of no-gaps broadband networks. Simultaneously, regulatory steps must enable the high-quality of service for mission-critical applications. Europe needs an effective and powerful infrastructure as a backbone if the companies want to stay competitive in the long run. If Europe wants to implement the digital transformation of industry, successful collaborative action is needed. It must rigorously focus its investment programs on digital transformation, re-establish its own information and communications technology competence and foster a virtual digital valley as a counterpart to existing digital centers in the US and in Asia. Initiatives such as Terra Numerata™ by Roland Berger can help to improve the way the digital transformation is coordinated in Europe.